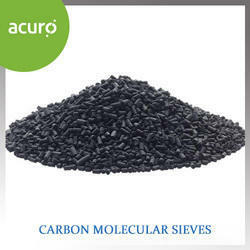 The component of carbon molecular sieve (CMS)is carbon. CMS takes the appearance of cylindrical black solid ,contains countless 4anystrom fine pores ,it can be used to separate air into nitrogen and oxygen .In industry ,CMS can concentrate nitrogen from air with PSA systems .Our CMS products have the character of large nitrogen yield capacity, high nitrogen recovery .It can meet the requirement of all types of PSA nitrogen systems. 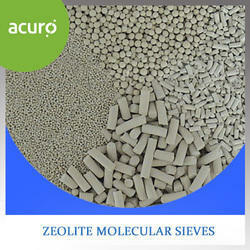 Application of Carbon Molecular Sieves:1.Chemical Industry. 2.Petroluem Industry .3.Food Industry . 4.Pharmaceutical Industry. 5.Heat Treatment.6.Electronic Industry . 7.Wire and Cable Industry. 8.Metallurgical Industry. 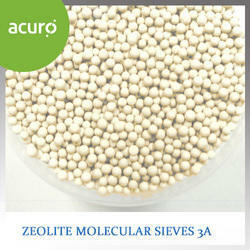 Zeolite Molecular Sieves 3A will adsorb those molecules having a critical pore diameter of less than three angstroms. e.g. : Helium Hydrogen and Carbon Monoxide. It it also the preferred Molecular Sieve adsorbent for the commercial dehydrationof unsaturated hydrocarbon streams such as cracked gas, propylene, butadiene and acetylene. 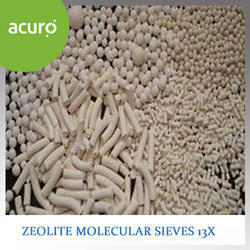 The potassium form of Zeolite.3A Zeolite Molecular Sieve is recommended for drying unsaturated hydrocarbons and highly polar compounds such as methanol and ethanol. The 3A structure is particularly effective in dehydrating the inner space of insulating glass windows as well as refrigerant gases. 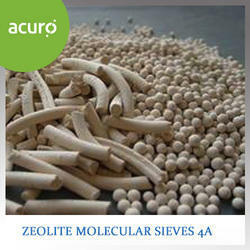 5A Zeolite Molecular Sieve is typically used to separate normal paraffins from branched-chain and cyclic hydrocarbons through a selective adsorption process. Type 5-A will adsorb those molecules having a critical pore diameter of less than five angstroms. e.g. : Methanol, Ethane and Propane. The calcium form of Zeolite. 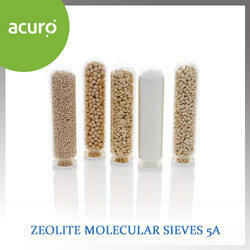 The preferred Molecular Sieve adsorbent for dynamic dehydration in a closed gas or liquid system. Used commercially for general gas drying, air plan feed purification (simultaneous removal of H2O and CO2) and liquid hydrocarbon and natural gas sweetening (H2S and mercaptan removal). A modified sodium form of Zeolite.Type 13X is used commercially for general gas drying, air plant feed purification (simultaneous removal of H2O and CO2) and liquid hydrocarbon and natural gas sweetening (H2S and mercapstan removal). All molecules which can be adsorbed on molecularsieves 3A, 4A and 5A can be adsorbed on Type 13X. In addition,Type 13X can adsorb molecules of larger critical diameters, such as aromatics and branched-chain hydrocarbons.